With four patent families, Siqens has developed the most cost-effective solution for methanol fuel cells. Siqens uses proven components from decades worth of fuel cell technology and has improved it significantly. 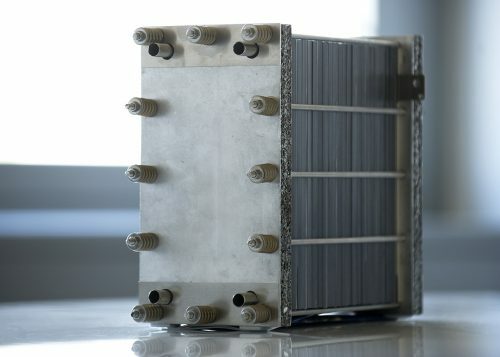 Now, Siqens is able to produce a new fuel cell generation with the potential of becoming an efficient, cost-effective and clean mass-market product for innovative energy supply. The fuel cell concept is fundamentally different from conventional generators. During the fuel cell reaction within the system the chemical energy of the fuel is converted directly into electricity and heat. This leads to much higher energy conversion efficiency than in combustion engines. In a diesel genset, for example, the chemical energy of the fuel is converted indirectly – through thermal as well as kinetic energy – into electricity. This is not only inefficient but also leads to the generation of noise, harmful gases and dust. Siqens’ Ecoport technology has reinvented the fuel cell. To create a marketable product we have kept the advantages of conventional fuel cells such as clean and silent operation and have added key features such as high durability, easy refueling and operational cost-effectiveness. Ecoport Fuel Cell – FourCycleTec makes the Difference! In contrast to conventional methanol fuel cell, the Ecoport is based on an innovative concept of four internal cycles. 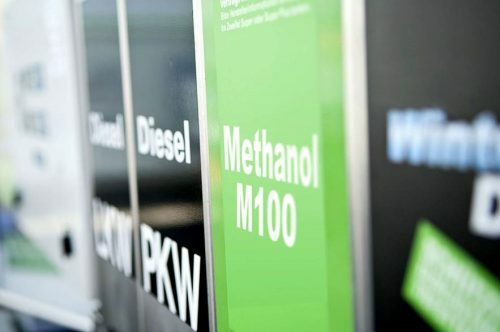 Ecoport begins by converting methanol to hydrogen for later electricity production. The FourCycleTec principle significantly improves efficiency and durability as well as reducing purchase and operation costs. Conventional fuel cells use hydrogen as fuel. As hydrogen is a gas with a very low energy content, heavy and bulky gas flasks are needed to provide enough energy at the operation site. This can be especially difficult in remote places. Ecoport uses a cartridge of liquid methanol supplying 32 kWh of electrical energy. One person can easily carry the cartridge. To achieve the same amount of energy through hydrogen, at least two 65 kg pressurized gas cylinders would be necessary. Using a secure click connector, the cartridges can be simply connected to the fuel cell system. Our cartridge solution is certified for the use of methanol and is easy and safe to handle.